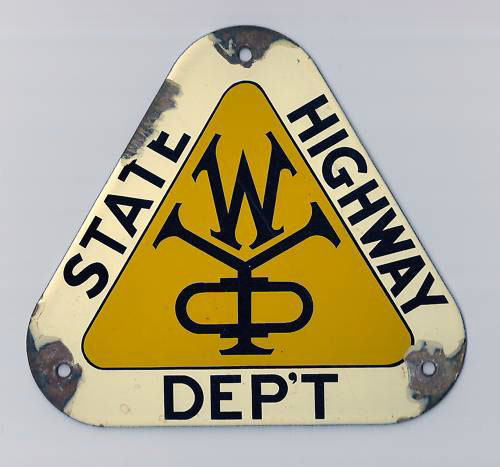 1935 specification highway marker. Manufactured between 1935 and 1960. This sign was placed on all the maintenance trucks of the highway department. Click here to browse through the Wyoming selection of our catalog of historic signs!